Check in hand - Enter account & routing numbers...that's it. Card in hand - Enter card info...that's it. 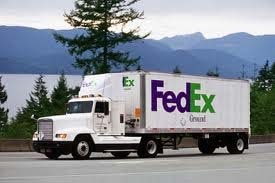 Domestic orders are shipped FedEx insured and trackable. 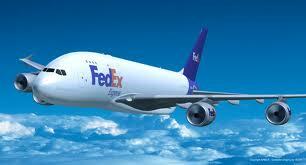 FedEx Express available for fast delivery. Tracking number comes directly from FedEx. Typical rates are $16-$22 (includes $5-$6 handling, supplies, and driving to FedEx). These may add cost: small town, remote area, oversize, heavy, high value, or expedited. Wheelsets run $40-$75 depending. Tandems shipped to lower 48 states commercial - $250, triplets - $320; add $50 for residential; some cases add $25 'Beyond' charge. All paid in full prior to shipment. We rarely use the USPS. Why not? Unreliable, packages over 13 ounces must be driven 12 miles round trip to the post office and wait in line for 10 and 40 minutes for Mr. Snail Pace to do his job. Contact us for AK, HI, International, 1, 2 or 3 day Shipment. WE NEED YOUR POSTAL CODE TO PROVIDE A QUOTE! By clicking on the "I Agree" button above, placing an order and providing credit card information, I hereby authorize Precision Tandems to charge my credit card account for items ordered plus any applicable shipping, handling and insurance value amounts whether said information was provided via telephone, email, or from self payment via a secure online pay link received via email. I further agree to accept the terms and conditions below. NO RETURNS after 30 days of the original ship date or on special order or drop-ship items. No exceptions. Please don't ask. No returns on international orders. All items will be refused without a return authorization number. Write for an authorization number and clearly mark it on the outside of the package. 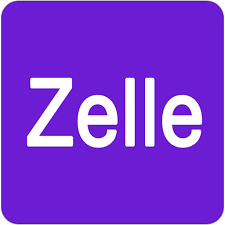 Return authorizations are valid for 7 working days. Returned goods need to be received in a timely fashion to resell or return to our suppliers. We are a maximum of 5 days away via ground shipping from anywhere in the lower 48 states. Include a note or email correspondence in the package containing your name, address, phone number, and email address, along with a statement describing the reason for the return. A 15% restocking fee applies to all returns accepted by Precision Tandems, the same rate we are charged by our suppliers. Exceptions to the restocking fee include non special order glove sizing exchanges (see below) or should we mistakenly send the wrong item. Check for proper sizing BEFORE removing the tags and or charging the batteries. Ultimately gloves/mittens/socks accepted for a return or sizing exchange is at the sole discretion of Precision Tandems. The following criteria outlines the eligibility concerns. Gloves, mittens, or socks returned for a different size must be brand new, never worn, and the factory tags must have never been removed. The charger must also be brand new and never used. Gloves or mittens received for return and sizing exchange that have had the tags removed, the charger used, or display any other signs of use, will be subject to a minimum $20 fee, if the return is accepted at all, since we must then offer them for sale as a discounted return or used item. We do not accept used gloves, mittens, or socks for a sizing exchange or refund. If you need a different size and it is available, you may request a return by writing us for an RA number at info2007@precisiontandems.com. 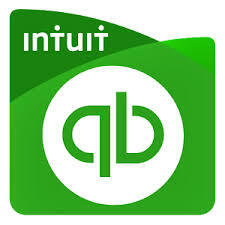 In that email provide a written authorization to charge your credit card (or intent to pay via our online pay service through Intuit) for our normal shipping charges (~$20) to cover the shipping cost of sending the replacements to you. Shipping charges are non refundable. When 'free shipping' is included, 'normal shipping and handling' expenses are subtracted from the refund amount, applicable to domestic or international sales. All return shipping charges are borne by the customer. Items must not have been installed, used nor worn and must be in the original package in "new" salable condition with all original documentation factory attached. Original packaging must appear new and should never be used as the shipping box. All licenses, manuals, accessories, and any other complimentary items must be included. Special order items are those not normally stocked by Precision Tandems, including drop-ship items. Sales on Discounted, Used, Demo, Close-Out, Promotional Items, Tandem Bicycles, (new or used), Clothing of any type aside from sizing exchange, Trailer Bikes, and Racks to haul tandems, are final with deposits on same being non refundable. Allowable refunds are generally processed within 3 business days of receipt. Refunds are to the original purchaser via check or via credit card the discretion of Precision Tandems' discretion. Please note that Precision Tandems does not have a satisfaction guaranteed policy as the customer is responsible for their own due diligence and or research when deciding to purchase. Therefore items that have been opened, installed, worn, and or have been used may not be returned. You may request immediate replacement of a defective item by reordering and paying for the item or wait for Precision Tandems to receive and evaluate the returned product. However, before returning a questionable item, please eliminate the possibility of operator error to save time and an unnecessary second shipping/handling charge to yourself. Such simple and preventable errors include but are not limited to plugging chargers into the wrong port of the device, not fully plugging batteries into gloves, lights, or intercoms, not plugging chargers into 'live' outlets, etc. Should delivery of an order be refused for any reason, the order is subject to a 15% restocking / return / handling fee, shipping costs both to you and back to us, shipping costs returning the item to our vendor and their restocking fee if the item was special order and or drop shipped. Most products come with a manufacturer's warranty. If the product has been used, please contact the manufacturer directly to learn of the coverage period and their repair or replacement policy. Safe delivery of a shipment is the responsibility of the carrier. If the box appears damaged upon arrival and you are dealing directly with a delivery person, include a note stating such on the shipper's proof-of-delivery paperwork such as "acceptance subject to inspection." Inspect your shipment within 48 hours and promptly notify us and the carrier should damage exist. Should you receive a damaged product or item, save all packing material and boxes; necessary to file a valid claim. An investigator may arrange for an inspection of the damaged item. By discarding packing material and box(s) or failing to meet with the carrier's investigator, any possible claim becomes void and you agree to accept the damaged item as is without free replacement. Thankfully damage is an extremely rare occurrence. We take great care to ensure that the product shipped is exactly as ordered. We acknowledge however that there will be rare occasions when products may be supplied by us in error. We accept the return of such items only if they are unopened and in their original 'new' condition. We will promptly replace the item with that as ordered. Any and all information collected on this site is for the sole use of Precision Tandems. We never sell your information to third parties or send unwanted e-mails. By purchasing a product from Precision Tandems you agree to not hold Precision Tandems or it's manufacturer's responsible for product failure resulting from misuse, abuse, crashes or incorrect installation. All prices on this website are subject to change without notice. We do our best to provide current and accurate information but cannot be responsible for typos, pricing errors, or availability. All orders are subject to acceptance by Precision Tandems and therefore reserve the right to restrict or revoke any offers or items posted on www.precisiontandems.com. less, and more on triplets, quads, etc. Please allow 2-10 working days for delivery. You will be promptly notified of any delays in the shipment leaving our location. 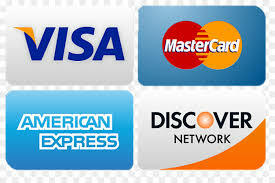 All prices listed and payments are in U.S. dollars. We accept Visa, MasterCard, or Paypal add their ~5% international fees on accepted small orders with known and repeat customers. Money Wire Transfers are required on orders of size, and with new customers. Shipping quotes include handling insurance values. Please allow at least 5-10 working days for delivery to your local customs. Many orders are processed by customs promptly and others take a few days. The customer is responsible for any customs, duties, taxes, or brokerage fees that may be applied on your end. There are no taxes or customs fees in our prices nor do we collect any. We cannot predict what those amounts may be that you would be responsible for on your end. It is your responsibility to do any research associated with additional costs over and above those directly related to shipping/freight if you view these import expenses as a concern. A typical 3 pound order to the UK, Australia, or New Zealand seems to run about $85. Complete 2 seat tandems can usually be shipped for $600 - $750. No returns on international orders. Allow 3-12 weeks for 2 seat tandems and 10-16 weeks for triplets, quads, quints. Orders are placed immediately upon receipt of your full payment or 50% deposit. Funds received towards a special order tandem are non refundable. Call and we will be pleased to provide any needed specifics.